Big data is a big topic not only for the consumers, as an illustrator you have to deal with more and more illustrations of the special topic. I do like it as it is a field that interests me quite a bit. 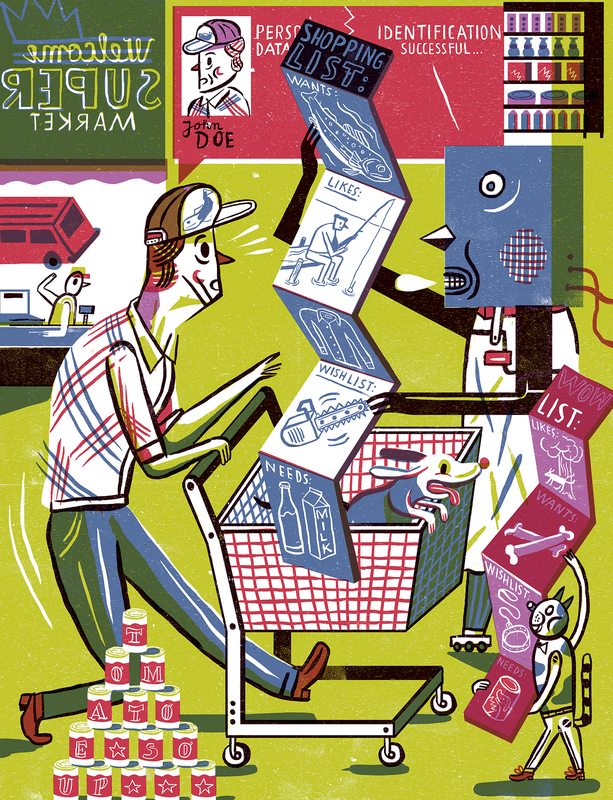 This illustration I did for Esterson Associates for MT Magazine treated many aspects of it, in this case how supermarket handle data collection and privacy.